How do you clean your house? This is your complete house cleaning guide – helping you clean your home from top to bottom. Cleaning may not be as glamorous as organizing, but it is an essential part of keeping your home beautiful and inviting. In fact, you need to clean your home first before you begin organizing it. After it is deep cleaned, you will know how much space you have and how much stuff you need to remove from the home. 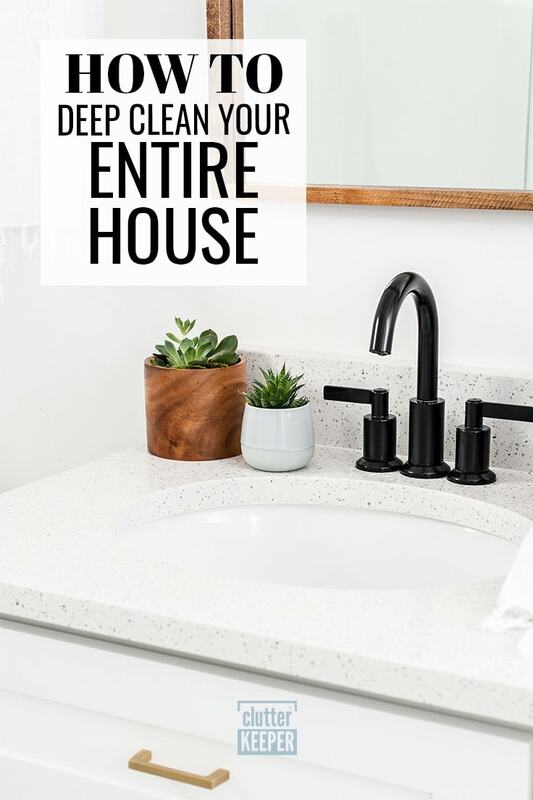 This guide will take you through every single room and area of your home and give you all the tools and information you need. The following are time-saving hacks as well as the best ways for how to clean every area in your home. Before you start deep cleaning, clear off the piles that might have accumulated on the horizontal surfaces. Look at your kitchen counters, the tops of dressers, and coffee tables. Only keep things that have a purpose for that area. You’ll be far more able to wipe down your countertops after you put away all the papers and loose items. After you clean off the tops of all your dressers and tables, you might discover that things sat there because they didn’t have a home. This is the perfect time to create a new organization system for them. When you create a way to store them, make sure it is something you can feasibly keep up with in the future. Keep it accessible and convenient. For example, if you use something frequently, store it somewhere that you can reach easily when you need it. Mirrors and windows show their dirtiness very clearly. That’s why it’s so important to keep them wiped down and clean. How often are you supposed to clean your windows and mirrors? Clean your mirrors and windows once a month. If there is a window that isn’t used very often or a mirror in an unused guest bathroom, you might be able to get away with washing them less often. 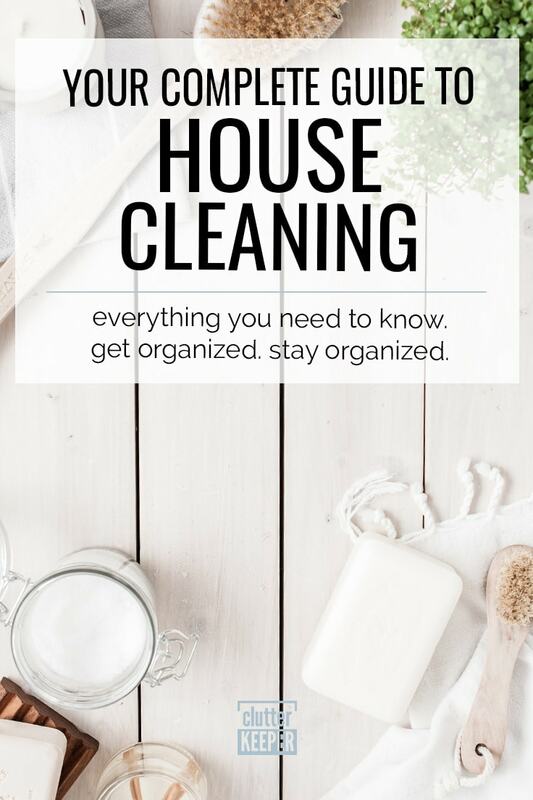 Check out our printable Deep Cleaning House Schedule for more information on how often all areas of your home should be cleaned. How to clean your windows and mirrors the best? The easiest way to clean mirrors and windows is with some window cleaner and a paper towel. Another way that uses items around the house is to use a vinegar solution in a spray bottle, and wipe it down with newspaper. You want to avoid streaks, so don’t saturate the window with cleaner. Lightly mist it and wipe it down quickly. Go from top to bottom, so that the drips don’t create a problem. How often should you sweep, mop, and vacuum? How often you deep clean your floors depends on your lifestyle and home situation. How many people live in your home? Do you have pets? Try to sweep and vacuum your floors at least every other day. Some homes might need the floors swept every day. Mopping the floor can happen once a week. Hardwood floors look stunning in a home. If you maintain them properly, you will keep them nicer longer. Cleaning hard wood floor can be pretty simple if you don’t procrastinate and clean up problems before they get worse. First, sweep the floors daily. Robot vacuums can do this task for you while you are at work. Next, clean up spills as soon as they happen. If you ignore an ice cube, the water will damage the floor boards. Mop the floors once a week. When you mop, don’t use too much water. Wring the mop out as much as you can so that it’s mostly damp. Too much water will damage the wood. Carpets and rugs are known for hiding dust and dirt. You might not see how dirty they are, but the dust can still be affecting your health. Vacuum highly trafficked rooms, like the living room, daily. Even if you don’t see the dirt, it’s there. Once a month, move the furniture and vacuum under furniture like the couch and bed. Tile floors are the easiest to clean because they are the most durable. You don’t have to worry about which type of floor cleaner to use. Use your favorite floor cleaner once a week and mop this area with a damp mop. To clean tile grout, use baking soda, water, and vinegar. This powerful mixture will do the scrubbing for you. Make a paste of 3 parts baking soda to one part water. Put that on the grout. Then, spray with a 1:1 solution of vinegar and water. Once it stops bubbling, wipe it clean. Now let’s move to how to clean appliances. You will love how they look! The first step is to wipe the exterior with a simple mix of water and dish washing liquid. Avoid cleaners with bleach if you are cleaning stainless appliances. After that there are a few appliance specific things to consider. After you clean the exterior of the refrigerator, pull it out away from the wall to clean and mop behind it. Take a vacuum and clean the coils which will prolong the life of your fridge. Finally, clean the inside of the refrigerator and tidy up your freezer. Open it up and take everything out and wipe the inside with the soapy water. The beautiful thing about ovens is most are self cleaning. Start the clean cycle and go watch some Netflix. All you need to do is wipe it out after. To clean the stovetop a mixture of baking soda and water will get most tough spots clean. You might not think about cleaning the inside of an appliance whose job is to clean stuff, but it is necessary, All dishwashers have one or more filters to trap food particles that will clog the drain. It is important to periodically clean those filters. Also, occasionally place a small bowl of white vinegar on the top rack and running that through a cycle to deodorize the dishwasher. The easiest way to clean a microwave is to place container full of water in the microwave and heat till it’s good and boiling. Leave it sit for a few minutes to allow the steam to loosen all the gunk and wipe it all clean. After you cleaned up your appliances, it’s time to move to your furniture. This probably only needs to happen at the start of each new season. In order to keep a mattress fresh and clean, follow these steps a few times a year. The first step is to strip the bed of everything and toss it in the laundry. Use the highest setting the linens allow because heat kills dust mites. Now go back and attack the mattress. Vacuum – Start by vacuuming the entire top and sides of the mattress. The upholstery attachment is the best way to do this. Go slow and make overlapping paths as you work your way over the mattress. Deodorize – Most people don’t notice their own body odor, yet sweat can build up in a mattress and lead to a unique odor. To fix this, sprinkle baking soda all over the mattress and give it a light scrub with a brush so the baking soda can get down in where the sweat is. Let this set for a few minutes. Vacuum Again – This will get the baking soda out as well as any odor-causing moisture it absorbed. Now it’s time to tackle any stains. Tackle Stains – The most common stain in a mattress is urine from pets or children. To tackle these make a mixture of 3 tbsp baking soda with 8 oz hydrogen peroxide. Add 2 drops of dishwashing liquid and put some of this on the stain. Be careful not to soak the mattress. After this is completely dried, mix 3 tbsp powder laundry detergent with 1 tbsp water and spread this over the spot. After 30 minutes, scrape the paste off and use a white cloth with a bit of hydrogen peroxide on it to remove any remaining stains. When finished vacuum the area. If you want to prolong the life of your mattress, flip and rotate it every so often. Wood furniture is beautiful and will last a very long time if proper care is given to it. By following the tips below your wood furniture will be beautiful and durable. A common question is how often should wood furniture be polished? It depends on how often you clean it because every cleaning will remove some of the current polish. It’s time to polish when a quick buffing doesn’t produce that shine that everyone loves. Should you use oil or wax to polish furniture? To determine if the furniture has a wax or oil finish simply place a small amount of linseed oil in an inconspicuous spot. If it absorbs into the wood you have an oil finish. If it beads, you have a wax finish. If your furniture has an oil based finish, you can make some fantastic oils right at home by mixing one cup mineral oil with ¼ cup distilled white vinegar. As an alternative mix one quart mineral oil with 1 tbsp lemon extract. The actual polishing procedure is slightly different for oil and wax finishes. Both start by simply applying the polish to a soft cotton cloth and wiping with the grain. For oil polish use a soft bristled brush to get oil in and around any intricate details if necessary. For wax based polishes wait an hour and apply more if you think it is needed. For oil based polishes just wait a bit for the oils to completely absorb into the wood and apply more. In both cases, the final step is to use a soft buffing cloth to wipe away any excess polish. Almost all experts agree that sheets should be changed and cleaned on average once a week. Most go further and strongly recommend not going longer than two weeks. 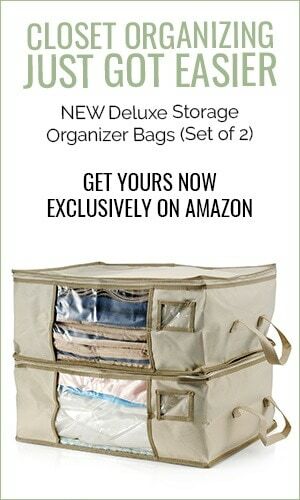 The best way to deal with cleaning and changing sheets is to purchase three complete sets. That way one can be on the bed, one can be in the laundry, and you still have one back-up set for the occasional emergency situations that may happen. For proper cleaning bedding should be washed in hot water because heat kills bacteria and dust mites. For delicate items, such as silk, dry or steam cleaning may be the best choice. The bathroom can be the quickest room you clean. Just follow these steps for cleaning each section. 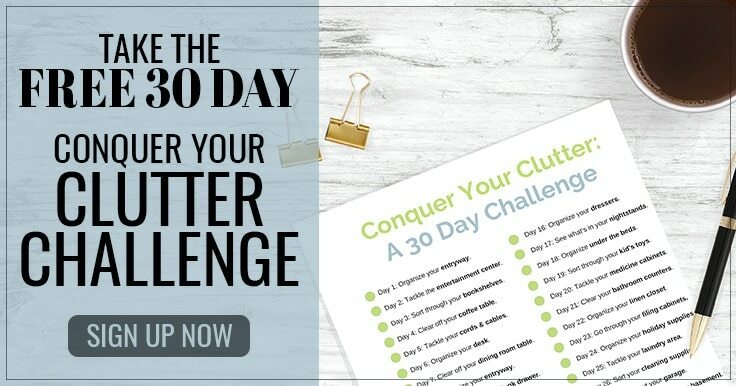 You could even split the tasks up on different days. Cleaning a shower is pretty straight forward. Remove everything – Take everything from the shower and wipe them down. Clean out the hair – Using a paper towel, wipe out loose hairs from the walls, floor, and drain. Spray it down – Use your favorite tub and tile cleaner. Rinse it off – Either use a bucket and pour the clean water on the walls, or spray the cleaner off with the shower head. Scrub the grout – Sprinkle baking soda on the grout (if you have some) and use a sponge to scrub the soap scum off. Rinse again – Do a final rinse and wipe it all out with a clean towel. The toilet is a stinky place, but it is one of the easiest to clean. Just spray the inside of the bowl with toilet cleaner and let it sit. Supposedly you can use Coke to remove toilet bowl stains. This option isn’t antibacterial and won’t kill germs… but it does help you get those stains off. After you let that sit for a few hours, scrub it out with a toilet brush, and then flush. Wipe down the outside and bottom of the bowl with a germ-killing concoction. You can either use your favorite bathroom cleaning spray or make one with water, baking soda, soap, tea tree oil, and orange essential oil. Live Simply has the complete recipe. Finally, wipe down the bathroom sink and vanity. Don’t forget to wipe down the front of the bathroom cabinet doors too. Save the mirrors for last. As you clean, you might spray cleaner on the mirror on accident. Wipe down the mirrors when you are finished cleaning everything else. Don’t ignore dusting your home. This is pretty important. It will help minimize household allergens. Tidy Mom has 10 amazing house dusting tips. When you dust, don’t forget the backs of your electronics (like your TV) and to clean your curtains and blinds. Use a vacuum to clean off ceiling fans and light fixtures. As you dust, don’t just spread dust around with a flimsy cloth. Either use a vacuum or something like a microfiber cloth that will trap and remove the dust. Making your own DIY home cleaners gives you control over how many chemicals you expose your family to. 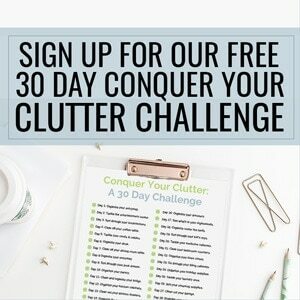 Clutter Keeper has a fantastic list of DIY Home Cleaners. On this list are recipes for an all-purpose cleaner, glass cleaner, furniture polish, and more. Complete Guide to Bedroom Organization – After your house is cleaned, tackle your bedroom and create a peaceful oasis. Laundry Room Organization Hacks – Follow these tips to find more space in your laundry room. Complete Guide to Living Room Organization – Create a completely organized and clean living room that will impress your guests.